There have been at least eight burglaries at homes of deaf people near Gallaudet University in Washington, DC in past couple of weeks. The intruders have broken in after midnight and taken electronic equipment - even stopping for a snack at one residence. Because so many deaf people live in the area, the DC police has a Deaf and Hard of Hearing Unit. Members are going through the neighborhood to alert residents of the problem. A software system called NexTalk combines telephone technology and the internet to give users the feeling of a more natural conversation. The calls ring directly to a user's PC, allowing real-time communication. The software also has an instant messaging feature. Culver's Restaurants in Chicagoland is using a devise to give deaf and hard of hearing customers assistance at the drive-thru restaurant. The customer pulls up and simply rings the bell that says Ring Bell for Assistance. It alerts the staff inside. The driver pull forward and then they are handed a pen, paper and a to-go menu. The device costs $700. Gallaudet University is ranked 19th on US News & World Report’s best audiology programs in the country. All 230 programs in the audiology and speech-language pathology rankings are accredited by the American Speech-Language-Hearing Association. The U.S. News rankings are based on surveys completed by deans, other administrators and faculty. A Michigan man became the first deaf person to earn his IFR. Stephen Hopson passed the FAA instrument rating test in 2006. That means he from Michigan can fly in less-than-ideal conditions. Hopson has been deaf since he was born, after his mother came down with German measles while pregnant. Hopson works as a banker and stockbroker on Wall Street and moonlights as a motivational speaker. A museum in Kansas is teaching the public about sign language and the Deaf culture the William Marra Museum of Deaf Culture is located in the Kansas City suburb of Olathe. The facility is the result of a cooperative effort between the Kansas Educational Foundation for the Deaf and Hard of Hearing and the Kansas School for the Deaf. One of the goals of the museum is to help deaf children appreciate their rich culture. The man who founded the MiracleGro garden products company also commissioned a film about cochlear implants. The Bridge Between Sound and Silence came out a year after Horace Hagedorn died in 2006. The New York philanthropist also left a million dollars for deaf children who comes from family that cannot afford the cost of implants. 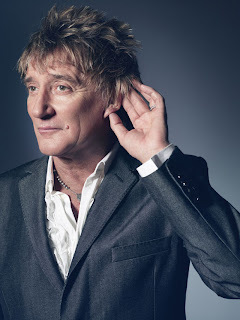 He had suffered significant hearing loss in old age. There's a new monument at the Prairie City Cemetery in Lawrence, Kansas. That’s where Luther "Dummy" Taylor was buried in 1958. His family and a group of fans in the area have raised $2400 to put up a new marker. The former major leaguer pitched eight seasons for the New York Giants in the early 1900s. He was a member of the team when the Giants played in the 1905 World Series. Teammates learned sign language so they could communicate with Taylor and the Giants made make sure he was included all the team’s activities. A team at Boston University is working on an interactive sign language video program. When someone shows a sign before a camera, the program will explain its meaning. The researchers have $900,000 from a National Science Foundation grant. They hope to have more than 3000 signs that will help parents better communicate with deaf children and to help sign language students. Danny Sanderson is just the second person to have a device installed called the Vibrant Soundbridge. The procedure was done yesterday by doctors at University of North Carolina Hospitals who are conducting national clinical trials. MED-EL Corporation out of Durham makes the device. Anderson has the implant surgery in March, putting it directly on the opening into his inner ear. Doctors fitted the external device yesterday. The Kars & Kids classic car and hot rod show in Austin has raised more than $18,000 for the Texas School for the Deaf. The school will use the money for classroom equipment and an automotive repair program. Atlanta Falcons defensive end Jamaal Anderson has big plans when he retires from playing professional football. Rather than taking it easy on some beach or worrying about his investments, Anderson wants to work at a school for the deaf and get sports programs started. Anderson grew up in Arkansas using sign language to communicate with his father, Glenn, who has been deaf since childhood. The Atlanta Journal Constitution reports Jamaal recently told students at the Atlanta Area School for the Deaf “how his father never used his impairment as an excuse, but instead used it as a strength to become a scholar and teacher”. Selected 8th in the NFL draft, the Atlanta Falcons picked the 6-6, 285-pounder for his size and production at Arkansas. He had an SEC leading 13 and a half sacks in 14 games during his last season. But the real story is Jamaal’s father. Glenn Anderson pursued an education even when his family didn't even attempt to learn sign language. He became a top basketball player in high school, even though the team ostracized him. His only failing grade in school came when a history teacher didn’t believe he was deaf and gave him an oral final exam. He became the first person in his family to earn a college degree (from Gallaudet University). From he went on to earn his master's from the University of Arizona and then his Ph.D. from NYU. Glenn has since served on the National Council on Disability and chaired Gallaudet's Board of Trustees. Glenn Anderson now directs the Rehabilitation Research and Training Center for Persons who are Deaf or Hard of Hearing at the University of Arkansas. A deaf UK couple tells CNN why they plan to have a deaf child through in vitro fertilization. But a new law could prevent them. Baseball umpires are often accused of not being able to see well enough to make good calls. But in Peter Rozynski’s case, it’s his hearing that’s in question. The Palm Beach, Florida softball ump has been deaf since the age of two. He’s now 55 years old. And not only is he as good as the hearing umps, recently he’s been a little better Rozynski is the reigning Rookie of the Year for the East Coast Umpires Association. It's rare for players to argue with him because coaches say his calls are very consistency. And those who do argue better keep their language clean. He can read lips pretty well, too. David Lodge's new novel is called Deaf Sentence. The award-winning British author is now in his 70’s and says he tried to hide his hearing loss for a decade. The book covers the embarrassment many older people feel in admitted they have significant hearing loss. The bespectacled, grey-haired protagonist is a professor of linguistics, something that serves to heighten the pain of his condition. He navigates through midfields of misunderstandings. A student from the Missouri School for the Deaf swept the sprint titles in the state high school track and field championships yesterday. Chetara Watkins won both the 100-meter dash and the 200-meter dash. She’s also the second Class 1 girl in the 35-year history of the girls championships to win both three years in a row. Without a hearing aid in her left ear, Watkins is completely deaf. The Deaf Cultural Center in the Kansas City suburb of Olathe has opened a window into the life of a deaf person for hearing individuals. The Center’s museum has set up an exhibit like a studio apartment with items deaf or hard-of-hearing individuals would use. This includes a strobe-light alarm and an alarm clock that vibrates. Hear the World will help Seattle's Experience Music Project and Science Fiction Museum celebrate Family Day by hosting free hearing screenings outside the museum tomorrow. Read more about Hear the World in previous posts. Miami Mayor Matti Bower has proclaimed this Hear the World Day. He’s encouraging residents to visit the Hear the World screening site on 16th Street & Lincoln Road. Bryan Adams's Hear the World photo exhibit is on display in New York's Meatpacking District at 413-415 W. 14th Street. After Thursday, they move to Berlin and then Zurich. At the end of the tour, the photographs will be auctioned online with the proceeds going to the Hear the World Foundation. The Canadian singer’s images include shots of Mick Jagger and Amy Winehouse. The exhibit also features interactive sound elements, and a free hearing test. Adams had a string of hits in the 80’s with Reckless taking the top position on the Billboard charts. Former golf pro Rob Strano offers golf instruction using American Sign Language. He played for 14 years on various tours, including the PGA. But after injuries began slowing him down, Strano decided to dedicate his time to teaching deaf children to play the game he loved – even though he has no connection to the Deaf community through family or friends. When he started his new career, Strano says he had never even met someone who was deaf. But over the years, he’s hosted many clinics alongside PGA Tour stops. The next one is in Ohio at the Memorial hosted by Jack Nicklaus. You can find more information here. Keith Westhoelter will coach the U.S. Senior Men's National Team that will play in the 2009 Deaflympics in Taipei, Taiwan. Westhoelter is an assistant coach for Indiana School for the Deaf. He was a member of the U.S. gold-medal Deaflympic teams in 1993, 1997, 2001. He also was an assistant coach for the 2005 Deaflympic team in Australia and coach for the last year's World Deaf Basketball Championship in China. Doctors at Carolinas Medical Center in Charlotte are planning to use a $1 million grant to study a virus that leads to hearing lose in one-out-of-10 people who contract it. More than eight-out-of-10 adults will get that virus by the time they are 40-years-old. The infection is called congenital Cytomegalovirus or CMV and is often spread to the child by the mother during pregnancy. There’s currently no treatment for it. The goal of the study will be to track the infection in newborns and follow them with hearing tests for three years. Your next smoke alarm could alert you to trouble by sending off a strong odor. Researchers at Japan’ Shiga University of Medical Science Hospital say their research shows the smell of horseradish can usually wake people from the deepest sleep and they say it is especially effective in waking up people who are impaired people. The equipment seals the odor inside a can and sprays them out when triggered by smoke. The product could be on the market in two years. Brain scans are showing musicians reveal themselves when they improvise. The research comes from Baltimore’s Johns Hopkins University and the National Institute on Deafness and Other Communication Disorders. Scientists say the scans show the medial prefrontal cortex lights up when musicians improvise. That’s the same part of the brain that responds when someone asks you to tell something about yourself. Details are in the Public Library of Science. The California School for the Deaf in Riverside is in the midst of a renovation that includes replacing 50 year old boilers with a $13 million plant. The new facility will provide heat and air conditioning to the 13 dorms in campus and school’s gym on the 69-acre campus. Construction has begun on a $5 million activities center. Next month, new dormitories will start going up. The new buildings will handle nearly 80 more beds than the old ones which accommodate about 300 beds. Larry S. Taub will lead the Pennsylvania School for the Deaf starting in July. Taub will be the PSD's 15th Head of School and the first deaf person to hold the position in 185 years. The last was Laurent Clerc in early 1820's. Taub succeeds Joseph Fischgrund and is currently Superintendent of the Maine Educational Center for the Deaf and Hard of Hearing and the Governor Baxter School for the Deaf. Due to the growing popularity of cochlear implants, Toronto's only full sign language elementary school had just nine students enroll this year. That’s down from more than 100 just a decade ago. The Metropolitan Toronto School for the Deaf will eventually be merged with other special education programs. Alabama’s Troy University is getting a quarter of a million dollars to train deaf interpreters. The money is coming in the form of a grant from the Alabama State Department of Education. It will be used to fund an undergraduate Interpreter Training Program and to provide at least one course for high school students. Governor Bob Riley says he hopes the program will set a national standard. The university plans to eventually establish a Center on Deafness. Troy Chancellor Jack Hawkins lead the Alabama Institute for the Blind and Deaf for a decade. There are roughly 250 million people with hearing loss in the world, with two thirds of them living in developing countries, according to The World Health Organization. A Texas School for the Deaf employee turned himself into police, admitting he an improper relationship with a student. Dorm supervisor Shane Allan Flournoy says he paid a male student to expose himself at Flourney’s home last year. The boy continued to demand money after the incident, threatening to tell authorities what happened. Flournoy has been fired and is now awaiting bond in jail. Researchers at St. Jude Children's Research Hospital say they have found a major clue as to how a genetic mutation or a drug overdose can cause hearing loss. They’ve found an electrically powered amplification mechanism in the cochlea of the ear and say it's a critical part of hearing. There are hair cells inside the cochlea and some hair cells that are outside the cochlea. While the inner cells are passive, the outer cells amplify the sound as it changes into an electrical signal that goes to the brain. If that amplification doesn’t happen, they say the sound waves are severely diminished. Details of their findings are in the May 8 issue of the journal Neuron. 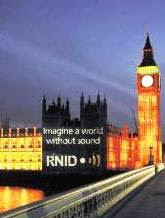 The logo of the UK’s Royal National Institute for the Deaf was projected on to the Palace of Westminster yesterday. It’s part of this year’s Deaf Awareness Week in Britain. RNID is asking people to upload photos of what sounds they miss the most if they lost their hearing. Airlines must add easy-to-read captions on safety videos and flight information in terminals and on aircraft to accommodate deaf passengers. That’s the word from the Department of Transportation. The new rules go into effect next year. Consultants are being brought in to the Louisiana School for the Deaf to figure out where to go from here – after five people connected with the school were arrested on indecent behavior charges with a juvenile. They’ll meet next month to come up with recommendations for what state educators should do. Parents will get a chance to weight in on the matter at a closed-door meeting next week without school officials present. 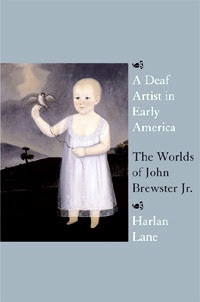 A Deaf Artist in Early America tells the story of painter John Brewster Jr. who lived from 1766-1854. Born deaf, Brewster never signed his works ''sourd-muet" - ''deaf mute" - as did other deaf artists of his time. The book is written by Harlan Lane, an authority on deafness and professor in the psychology department at Northeastern University. A touching film is coming to HBO this month about a couple who decide to undergo cochlear implant surgery after 65 years of being deaf. 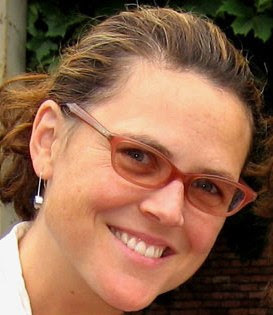 The Irene Taylor Brodsky film Hear and Now is about her own parents, Paul and Sally Taylor. It won the Audience Award: Documentary at the Sundance Film Festival. Here's the schedule for when you can see it. The Wild Zappers is a dance company made up of deaf, male dancers. Irvine Stewart first put the group together in 1989 in Washington, DC with help from Fred Michael Beam and Warren “Wawa” Snipe. Now there are ten members in all. Some are staff members with Fred’s non profit group called Invisible Hands. Rachel Coleman, host of the PBS show Signing Time, is up for an Emmy Award. She’ll find out on June 20 if she’s won for Outstanding Performer in a Children’s Series at a ceremony in Hollywood. After her daughter was born profoundly deaf, Rachel learned ASL and started teaching sign to hearing children through song. She writes all the music for Signing Time. She now lives in Salt Lake City. The efforts of a retired Canadian business executive are improving the lives of impoverished African who are deaf. Working from a small town in Botswana, Howard Weinstein came up with a cheap hearing aid powered by rechargeable solar batteries. 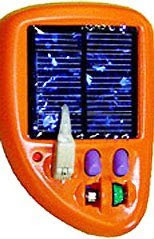 The SolarAid costs less than $100 and the rechargeable batteries are a dollar apiece and last two to three years. More than 20,000 people in 30 countries are using it. With funding from the Ashoka Foundation out of Washington, DC and the Oregon-based Lemelson Foundation, Weinstein is working on an even better unit with the help of engineers from Brazil’s University of São Paulo. Weinstein had become rich from his valves and faucet company but his world fell apart when his 10-year-old daughter suddenly died. He eventually went bankrupt and left Montreal for Africa when he heard about the opportunity through World University Service of Canada . Weinstein's vision goes beyond Africa. He’s working to set up similar operations in Latin America, the Middle East, China and India. His plan is to have 1000 deaf people employed in the next 5 years. If you think its difficult sometimes getting an interpreter in the US, just try living in Britain. If need a British Sign Language interpreter you have to wait an average of two weeks and pay a minimum of £130 (that's about $255). Interpreters must be booked for at least three hours at a time. That's why most BSL users rely on hearing members of their family to translate during medical and legal appointments. A deaf man and his 4-year-old grandson were killed yesterday when a fire truck ran into their van in Massillon, Ohio near Akron. Four firefighters were also injured. The ladder truck had its lights, siren and horn blaring when it approached the four-way blinking light. The fire truck hit broadsided the van. 72-year-old Ronald Anderson was taking his grandson to preschool at he time. There’s a campaign underway to encourage Congress to pass legislation that would provide a federal tax credit of up to $500 per hearing aid to help people buy them. The average cost for each fitted hearing aid is $1,800. The Better Hearing Institute has set up a Web site to promote the effort. Hearing loss can be cut by as much as half with a bone-anchored hearing aid, according to a large study of the devices. They are also known as BAHAs and are screwed right into the skull, transmitting sound through bone. The results were presented by researchers from Loyola University at the 10th International Conference on Cochlear Implants and Other Implantable Auditory Technologies in San Diego. But unlike cochlear implants, the device cannot help deaf patients whose inner ears have been damaged. But if the inner ear is intact, the BAHA can vibrate the bone structure and create a nerve impulse that can be recognized by the brain. The operation can run as much as $15,000. Can too much classical music lead to hearing loss? Just ask the St. Louis Symphony Orchestra. Both the current lead percussion and the former principal percussion have hearing loss. A member the French horn section must wear two hearing aids. Many contemporary classical pieces are heavy on percussion and high volume. Many orchestras now use Plexiglas screens to protect musicians' ears from the direct impact of the sound. Some musicians wear ear plugs while performing on stage. In Europe, the sound level standards applied to factories is now being applied to orchestras. The Siena School for the Liberal Arts in Tuscany, Italy is offering a three week program in Italian Sign language and Italian deaf culture for American ASL students over the summer. More than two dozen students will participate this year – most of them from Gallaudet University and the University of New Mexico. The school also has a three-week long language program for deaf Americans and deaf Italians who room together while studying each other’s sign language. There is also a deaf poetry festival at the school in November. If you’d rather see the Caribbean than Italy, there is a 13-week program on sign language and deaf culture in Jamaica at the Maranatha School for the Deaf which is associated with the Mennonite Church. 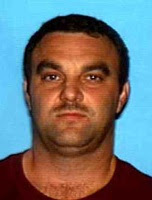 We reported yesterday about a California man believed to be on the run after he was accused of sexually assaulting a deaf teenager who had hitched a ride with him. Here's an update. Authorities now say Marcos Esteban Ortega has been arrested in Bell Gardens and is now behind bars. A former co-worker identified him from a surveillance photo where the girl was picked up. The Hispanic 16-year-old wanted to go to San Diego to visit friends. A video relay service has opened a call center in Frederick, Maryland. The Viable Inc. facility is just a few blocks from the main campus of the Maryland School for the Deaf. It goes into operation on Monday and will employ about a dozen people. Viable already has call centers in Rockville and Ellicott City. This year's American Sign Language Idol contest at the University of North Carolina at Greensboro drew lots of contestants this past weekend. This was the fourth year of the show produced by the ASL program at the school. Students sign and dance to popular songs. It gives members of the local deaf community an opportunity to get together. Nearly 300 people attended last year's contest. Junior Achievement of Washington held its first deaf and hard-of-hearing-only event on Friday. 140 deaf students from all over the state took part in JA's BizTown program in the Seattle suburb of Auburn on Friday. BizTown is a miniature city environment that allows students to pretend what life would be like as an adult – at least in terms of money. They work a job, pay bills and taxes, buy things and get a crash course in finances. The businesses included Best Buy, a TV station, public utilities, a bank, as well as an insurance company. A man accused of sexually assaulting a deaf teenager who hitched a ride with him is believed to be on the run. Authorities believe Marcos Esteban Ortega of Lake Elsinore, California may be headed for the border. A former co-worker identified him from a surveillance photo where the girl was picked up. The Hispanic 16-year-old wanted to go to San Diego to visit friends. Singer Dionne Warwick and 1995 Miss America Heather Whitestone were among those taking part in last night’s private fundraiser for The Barton G. Kids Hear Now Foundation in Miami. The nonprofit organization helps hearing-challenged children and their families. The event was planned by the man behind dozens of charity extravaganzas - Barton G. Weiss. His daughter was born profoundly deaf. He's funding the foundation with a six-figure gift and plans to start a Cochlear Implant Family Resource Center at the University of Miami. A couple of billboards promoting Helen Keller’s birth place in Alabama are causing a stir. They show a picture of her and are captioned, "See, what she couldn't." Keller was born in Tuscumbia (near Muscle Shoals). The billboards are located on Interstate 65 in an effort to draw travelers. More than 60,000 people visit her birth place each year. See one of the billboards. Older Americans with vision problems should be checked for hearing problems. The likelihood of having both is twice as high as expected, according to doctors at San Francisco’s Smith-Kettlewell Eye Research Institute. A recent study indicates patients with cataract surgery or glaucoma are likely to suffer moderate hearing loss. Newsweek gives Marlee Matlin a thumbs up in its Conventional Wisdom section. The magazine says the "deaf actress makes it through six rounds of Dancing with the Stars. Smooth." Dartmouth music professor Larry Polansky is coming to Gallaudet University in Washington to study ASL poetry and performance art. Polansky teaches at Dartmouth College and this is part of his Fellowship from the Andrew W Mellon Foundation. Polansky will next visit the campus of Northeastern University to review the school’s interpreter training program and then the Sign Language Center in New York City. 21 photos of stars, including these of Amy Winehouse and Rod Stewart will be auctioned online to raise funds for the deaf in the UK. Deaf Actor Russell Harvard from the film There Will Be Blood spoke today at a congressional hearing on legislation that would broaden rules on closed-captioning to include some digital devices and internet services. Harvard told members of the committee, "I and others who cannot hear are left out of this whirlwind of technological change (because) hardly any of these smaller devices display closed captions. Harvard urged Congress to take closed captioning laws "to its next level." While Democrats on the committee appeared to be in support of the plan, Republicans seemed skeptical. Captioned programming is already offered by some Internet video providers. That includes NBC and Apple's iTunes store.